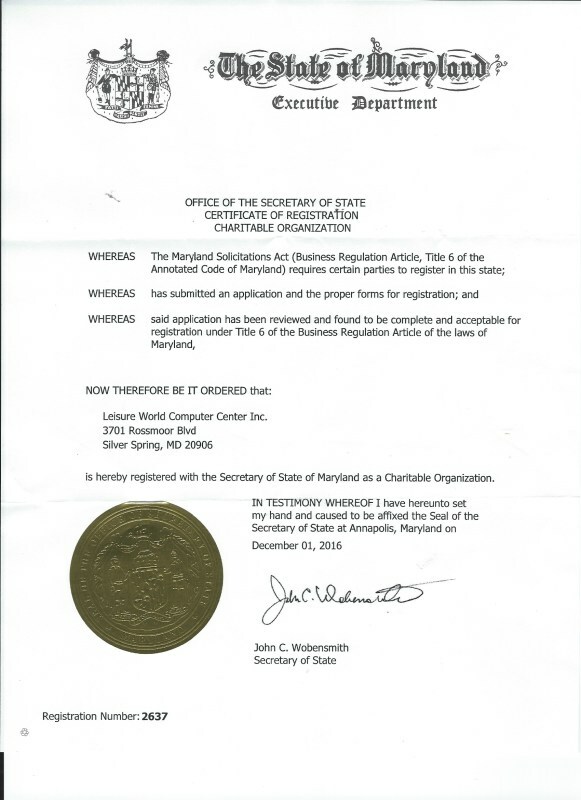 The Leisure World Computer Center, Inc. is a 501(c)(3) nonprofit organization. Contributions are received from individuals, foundations, and corporations and are tax-deductible to the extent allowed by law. You will receive a receipt for all donations you make for cash and non cash donations. The Leisure World Computer Center, Inc. accepts cash and check donations directly or you can donate online and use your credit card. For more information please contact Allen Firestone (Treasurer) at allanfirestone@computerctr.org for instructions on making a cash donation and receiving a donation receipt. Checks should be make payable to: Leisure World Computer Center, Inc. 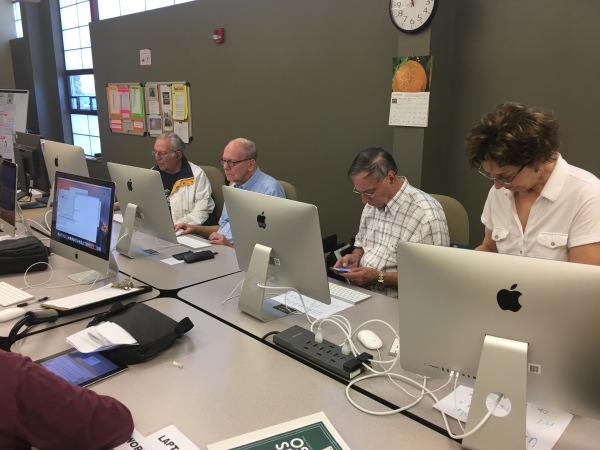 The Leisure World Computer Center, Inc. accepts new and used technology related equipment. For more information please contact Allen Firestone at allanfirestone@computerctr.org​ for instructions on donating these items. We are currently accepting donations of computers, monitors, and printers. Computers must be in working order, 4 years old or newer and include power cords. Monitors must be in working order, 5 years old or newer and include power and connecting cords. Printers must be in working order, 5 years old or newer and include power and interface cables when needed.